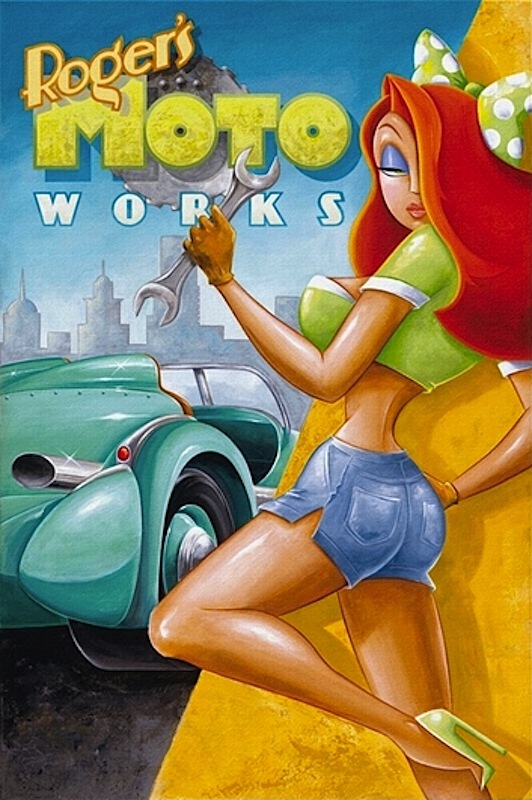 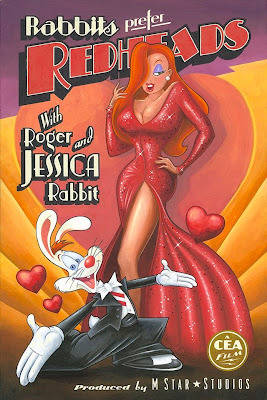 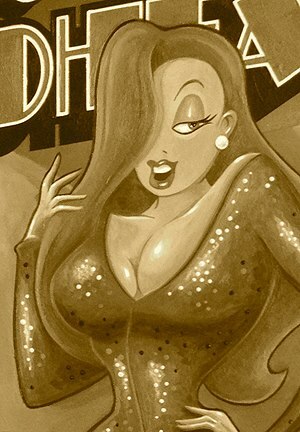 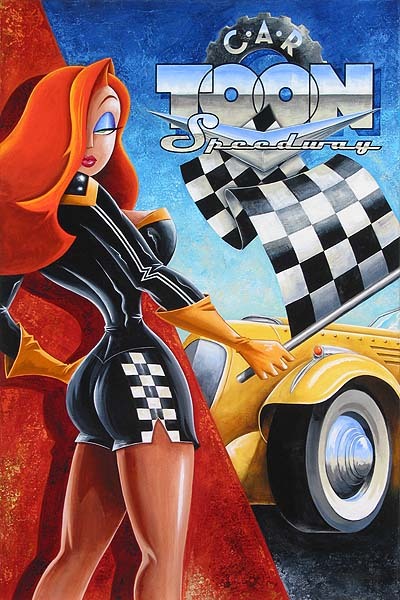 From the artist behind Roger's Moto Works and Car Toon Speedway comes some brand new Jessica Rabbit art, just in time for Valentine's Day - titled Rabbit's Prefer Redheads with Roger and Jessica Rabbit. 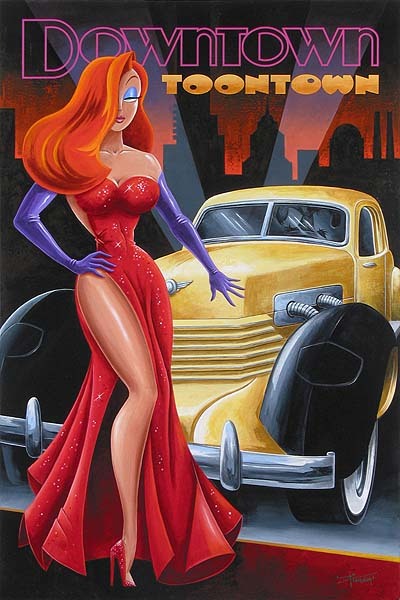 Disney fine artist, Mike Kungl, has featured both cartoon stars in this new piece, and quite a stunner it is! 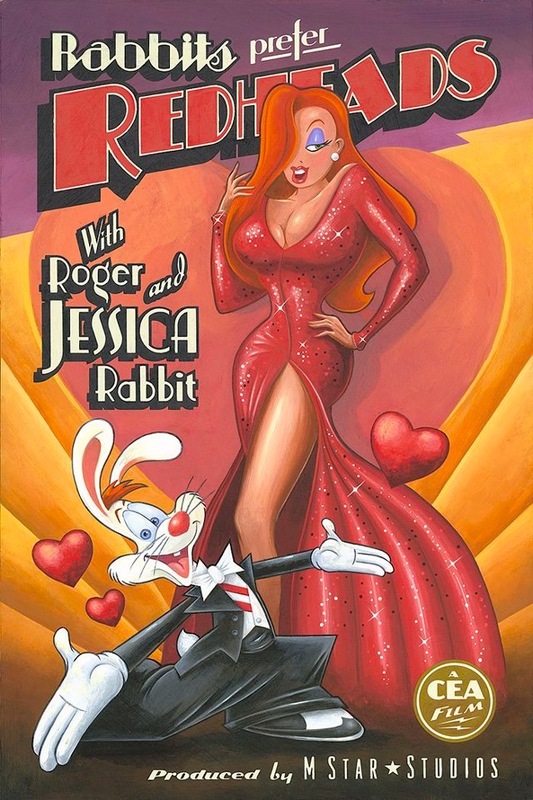 With his signature bold colors and angular, nostalgic style, he faithfully brings Roger and Jessica to life in his new work.